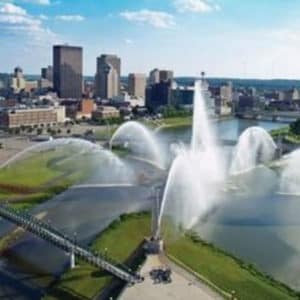 Are you ready to take on the roads of Dayton, OH in your used Toyota RAV4? Get ready for adventure when you find the perfect SUV at Joseph Airport Toyota today. If you have been dreaming of being the proud owner of the popular Toyota RAV4 but you don’t think you can afford the payments? Have you considered purchasing a used Toyota RAV4? This option can save you big money and lower your monthly payments so you can have the adventure in the SUV you want to drive. Talk to us at Joseph Airport Toyota for more information. Who says your used Toyota RAV4 has to cost you an arm and a leg? Many dealers charge a premium price for their used inventory but we believe you deserve to pay lower prices on your used Toyota RAV4. You can have the adventure you want in the SUV that’s fun to drive while saving money. Imagine yourself in the driver’s seat of the RAV4 as you head out to the mountains or off-road for your mudding adventure. This dream can be a reality and we can save you more money when you choose to shop with us. Plus, you know with a name like Toyota, you are getting a reliable used vehicle and thanks to our reconditioning process, it will look and feel like new when you step inside. Adventure doesn’t have to break the bank when you shop with Joseph Airport Toyota. Are you ready to head out on the trails? Come by and see us today. Are you hesitant about buying a used Toyota RAV4? We have so many reasons why you shouldn’t be. It is better to buy used because not only do you save money on the overall cost of the vehicle, you get lower monthly payments. You also avoid the pesky depreciation that comes with the purchase of a new car and who wants that? Not only do you get a free CarFax Report with every used Toyota RAV4 we sell, but you also get so much more. We offer our Yes Plan Certified Lifetime Warranty on every qualifying vehicle to give you the peace of mind you need. This warranty covers your used Toyota RAV4 as long is it has 80,000 miles or less and includes engine, drivetrain, and transmission service coverage. Do you want to learn more about our warranty coverage or get more information about our selection of available vehicles? Stop by and talk to our professionals who are always happy to help. Are you ready for your next adventure in your used Toyota RAV4? Let us help! We can help you narrow down your selection based on features and price so you can find your match made in heaven when it comes to the RAV4 you want. We have a great selection of the popular used Toyota RAV4 on our lot waiting to go home with its next owner. With a variety of colors, features, and models to pick from, we know you won’t be disappointed when you drive off of the lot. We welcome you to take a look at our inventory either online from the comfort and convenience of your home or stop by and take a look at them in person. When you are ready, we are happy to take you for a test drive to make sure it is the perfect used Toyota RAV4 for you and your family. 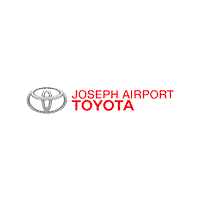 We look forward to serving you at Joseph Airport Toyota today. Where Will You Go In Your Used Toyota RAV4? Do you crave outdoor adventure? If you are the type that loves summer fun but aren’t afraid of the winter snow, the Toyota RAV4 is perfect or you! It can handle the snow like a champ so you can get back to nature at 5 River MetroParks to take in the majesty and glory o the great outdoors. Imagine the outdoor adventures you can have in your RAV4. From camping and hiking to skiing and canoeing, the RAV4 takes you everywhere you want to go.